This is of course not counting the two sock WIP, baby sweater, and ongoing scrap blanket sitting in my project pile. And lets not think of the socks and shawl sitting in Area 51 downstairs. I just can’t get my heart or brain to decide on what to work on. I want to do ALL THE THINGS but of course I don’t have the time for that. Oh but twer it true. My sock mojo seems to be winning. But I am kinda digging the quick win of some small knockers and supporting a great charity. But I guess as long as I’m knitting I’m winning! I really like the color but I can say this yarn can be a little splitty. 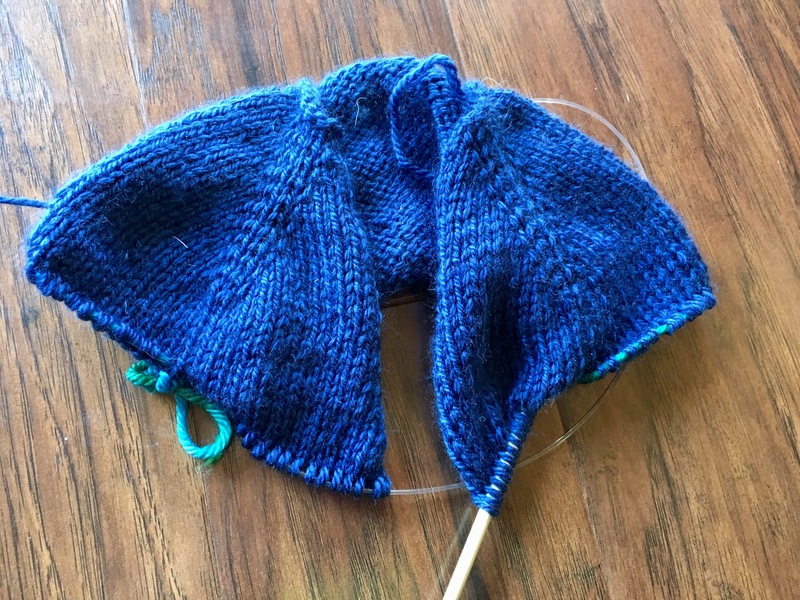 It’s Cascade Heritage Cherub Aran in navy. It’s very soft from the acrylic content and should be easy care for the new mom and tiny treasure. So I can think I can deal. The baby shower is set for April 30th so now I have a deadline! Should be easy as pie…famous last words. 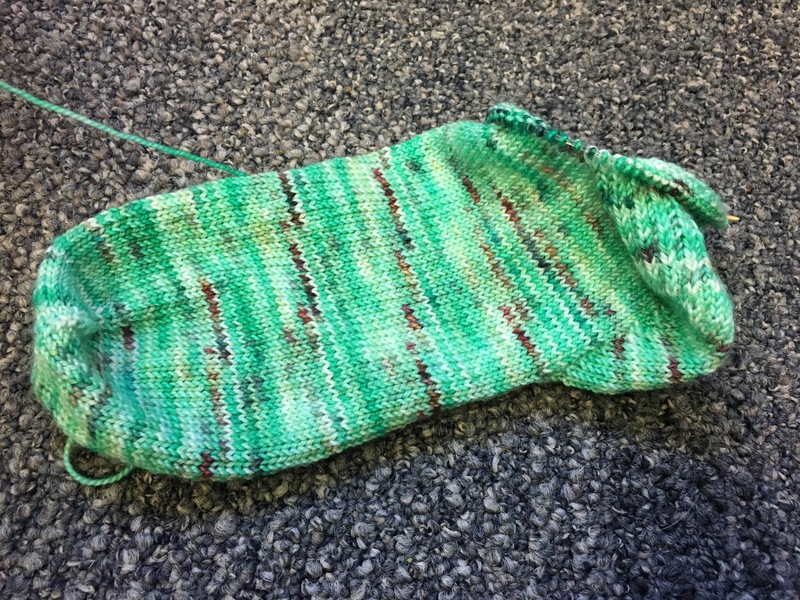 I’m plugging away on Nicole’s Christmas socks and I’m just about to the ribbing on sock #2. 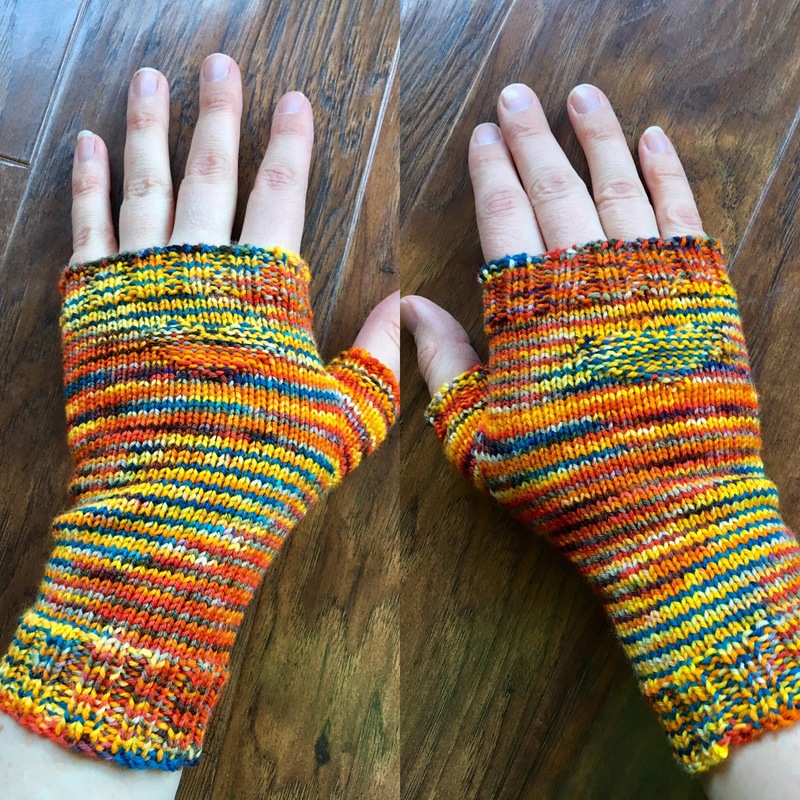 This self-striping sock yarn is just so darn addictive. And Felici is so soft that it’s a treat to work with. My dad informed me that he has the traces of my sister’s foot. We just need to be in the same place at the same time to exchange. I’m still nervous about cutting into perfectly good knitting, but I shall persevere! 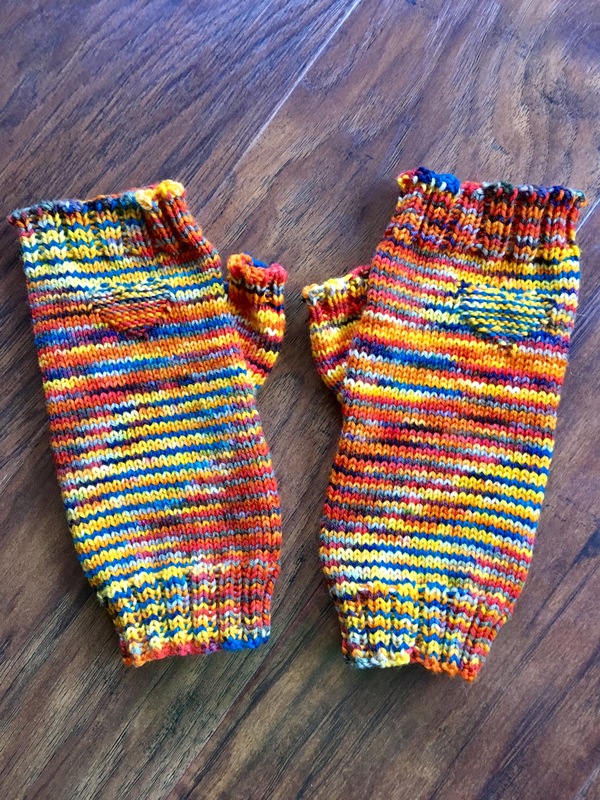 I finished Mere’s Heart Mitts…. These are pair of mitts of my own improvisation. My Ravelry pattern notes can be found here. I only used 1/3 of the skein so I have plenty to make a second set. But honestly….I don’t want to. This yarn is perfect for Mere. She is fun and spunky and just about the most beautiful person on the planet. I know she will love these. They are her…..just not me. If I knit them I honestly wouldn’t wear them. The highly variegated nature just doesn’t show the heart as well as I would like. And the colors don’t really match anything in my wardrobe. I did some noodling on this because I still wanted to have something to “match” her so we could be hand knit buddies from across the country. I think I will make a pair of shorty socks with the remainder of the skein. I will work the heart chart into maybe the toe or possibly on top of the foot. I can wear any color inside my boots and then I will just feel the love on my toes instead of my fingers! Now if you will excuse me, I need to get these babies wrapped up and ready to gift to Mere! Happy Knitting!! A dear friend from literally pre-school is having a little baby boy. She and her husband worked and prayed very hard for this miracle. So I want to make something extra special. I’ve already knit a blanket. Now the little mister needs a sweater! I am going with an old standby…the Baby Sophisticate by Linden Down. I pulled some Cascade Yarns Cherub Aran in a navy colorway from my stash. I bought this for a Jellybean sweater but he quickly outgrew this yardage before I could get knitting. Ravelry tells me that this is the 8th such sweater I have knit. Nothing wrong with a great classic! Do you have any repeatable patterns? 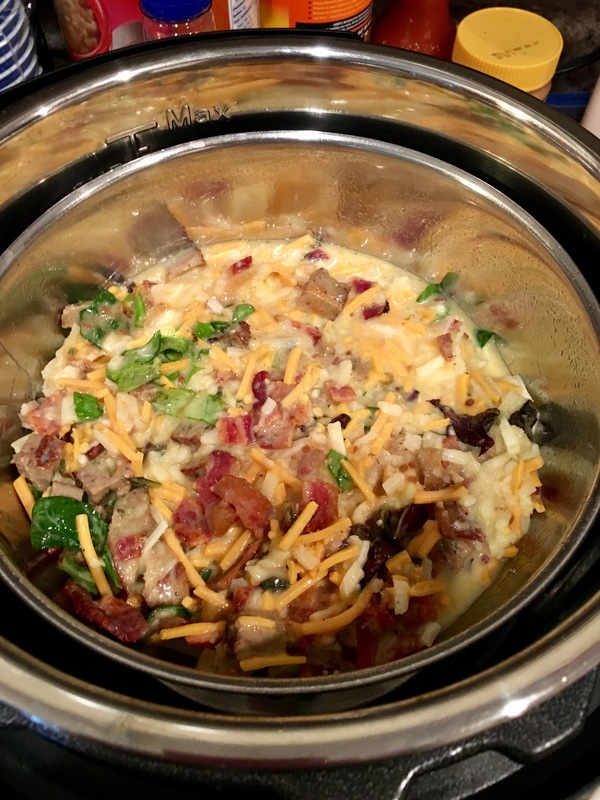 I ended up having to cook it for an extra 6 minutes to get the eggs to set and then despite liberal lubrication this is how it came out of the bowl…. 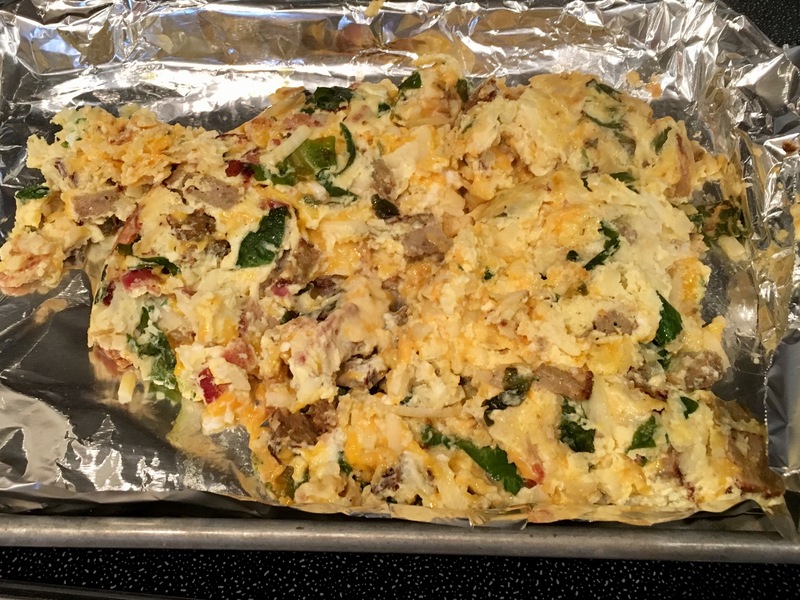 I dumped it onto a cookie sheet, added some extra cheese and broiled for several minutes to finish it off. Now it was extremely tasty and loved by toddler and adult alike. Just not very pretty…. 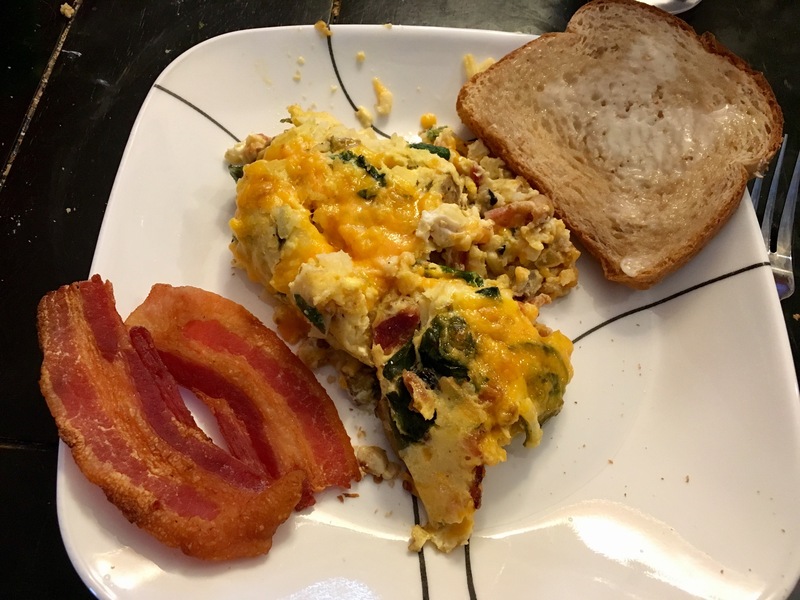 The bacon helped to soothe my cooking wounds. Happy Cooking!! I’ve been quietly knitting away on my sister’s Christmas socks. I have a soft spot in my heart for Knit Picks Felici. And I decided to go bold….a true afterthought heel! 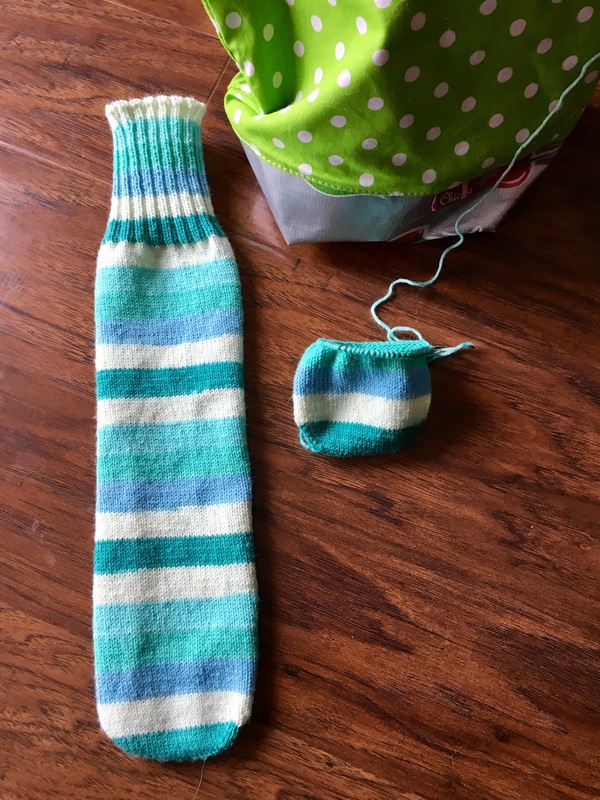 At any rate I started the second sock! 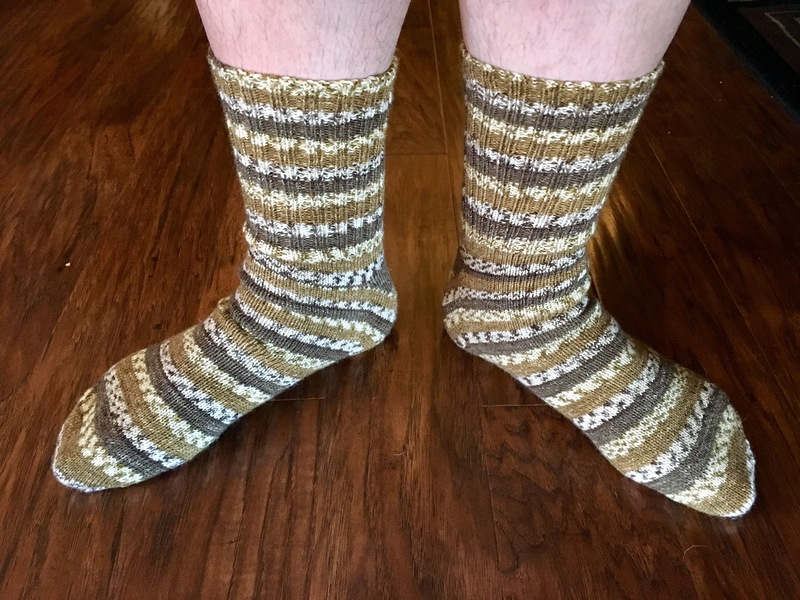 What is it about self-striping that makes this kind of sock project so potato chipy??? I’ve actually had them done for awhile, but I couldn’t coordinate a toddler free moment in the natural light of day with the husband to get some modeled shots. Even then I was only able to grab two snaps before the toddler required saving from some perilous adventure like trying to jump off the furniture like superman does. Even then the second shot includes blurry wiggly toes, lol. 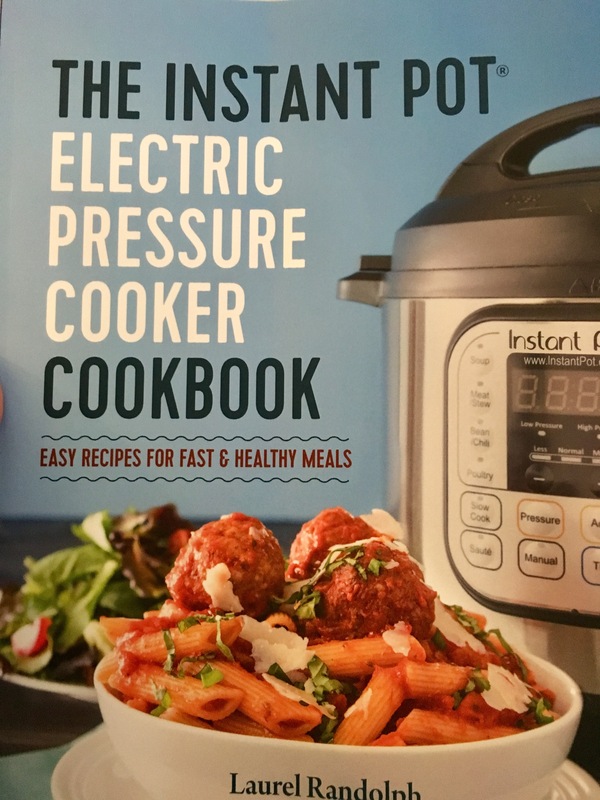 For my birthday last year my parents gifted me an Instant Pot because my beloved crock pot had just gone to the big kitchen in the sky. I’ve been making basic things in it since and getting to know the quirks of my machine. Now I’m ready to step my cooking game…. 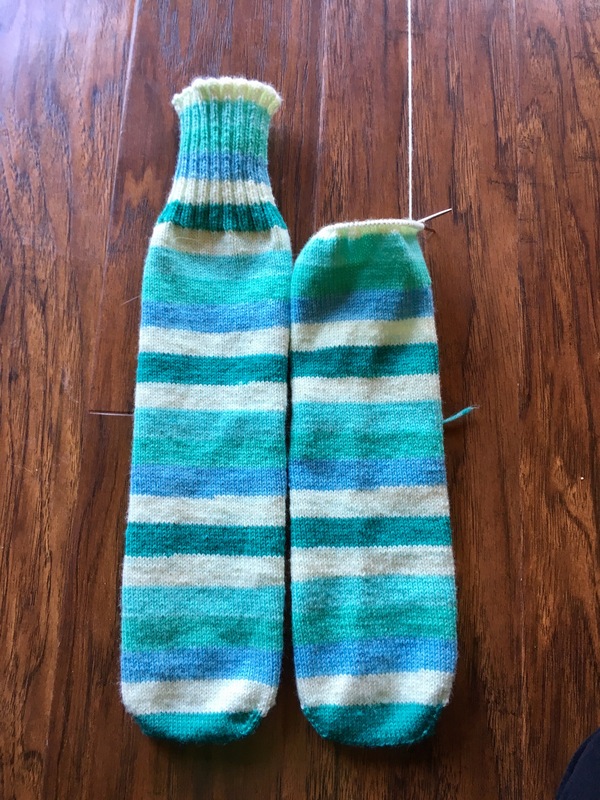 I made it past the heel on my Toe Up Socks With A Difference. These had kind of languished at the bottom of the WIP pile. I had completed the stockinette foot and was ready to start heel. This is a new to me heel construction and I needed time and brain space to sit down and just work through it. Both had been in short supply lately, but I finally made it! The heel is a double gusset heel worked on the bottom of the foot. 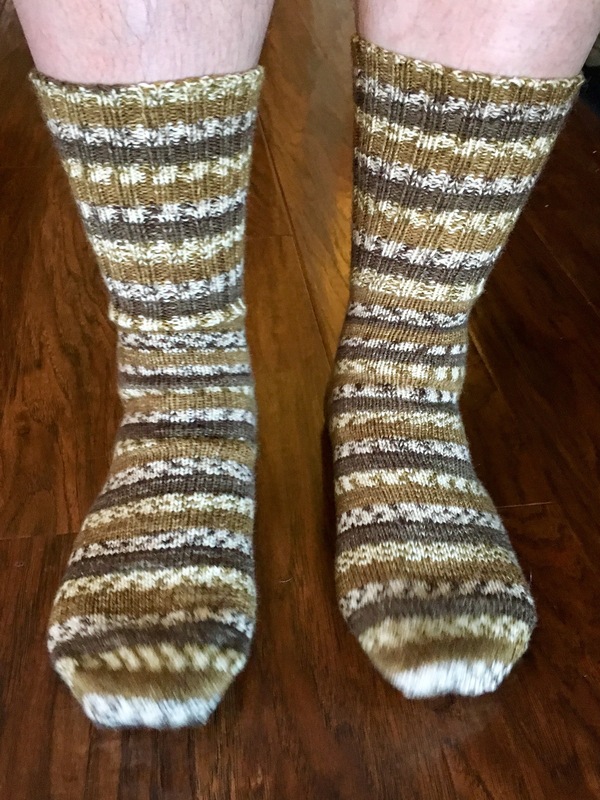 I’m following a Wendy D Johnson pattern that is free and found here on Rav. It was easy to follow and a pretty slick construction. 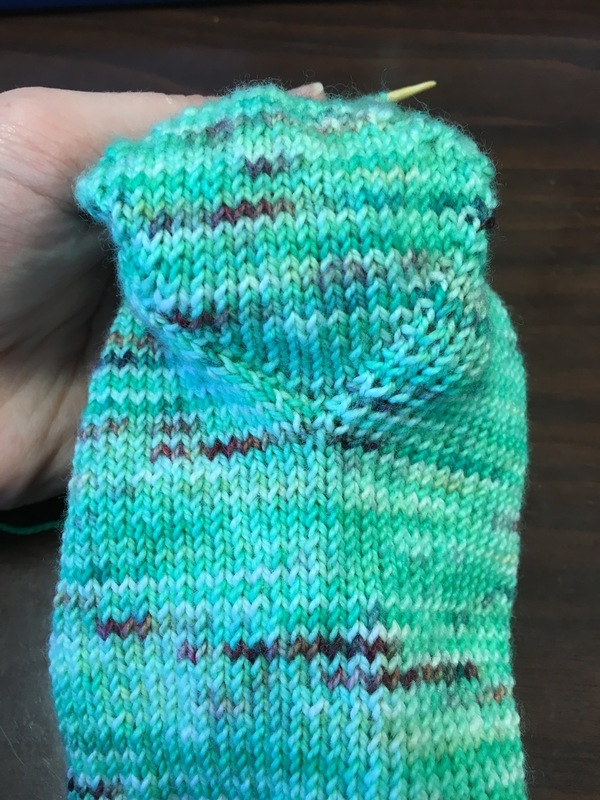 Time will tell if it’s more or less comfortable than a traditional toe up gusset heel. In the mean time I need to finish the leg of this sock and get moving on the second sock!